Learn how a student-led tech team can improve support experiences and student learning. FileWave’s multi-platform endpoint management capabilities make it easier to manage your organization’s devices. Our software is key in K-12, higher education, business enterprises of all sizes, and more. But one of the most exciting aspects of FileWave is its educational use case. 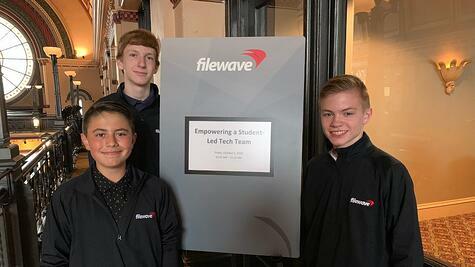 At the 2018 FileWave Alliance Conference, Jeff Botteron of Lafayette Catholic Schools led a presentation entitled “Empowering a Student-Led Tech Team.” Accompanying the Director of Learning Design and Technology were three of his student tech team members: Gavin Brkaric, Ethan Finney, and David Rebmann. The group walked attendees through the formation and implementation process of this revolutionary use of our endpoint management software. Undertaking the creation and implementation of a student-empowered tech team arose out of a variety of needs. As in most schools, Botteron and LCS faced increasing demands on time and attention alongside limited resources. With increasing demands of tier 1 support, the concurrent creation of a student tech support team in conjunction with a 1:1 device rollout helped to preserve time and focus on larger projects while providing improved support experience for the team’s peers. Alongside this improvement in workflow optimizations, the student team members gain valuable experience in tech management, troubleshooting, and project management while also working towards the potential of earning paid hours. How to implement a student-led tech team? Once Botteron had secured approval and funds for the initiative, he worked quickly over the summer to prepare the core members by preparing for the rollout of LCS’s 1:1 iPad initiative. Using paid summer internships to on board his team by completing iPad imaging, learning program updates, projector installation, and other projects, Botteron tested his management process in a controlled environment. From there, he began to refine his workflow by implementing checklists and other tools to help the students better track their work progress. 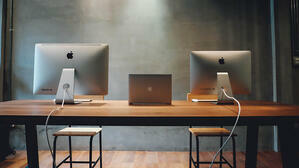 In addition to the internships, Botteron created an IT Technology Support Class as a foundation of the program. The class allowed for one enrolled student each class period, who would serve as the key support team member for all tier 1 issues. 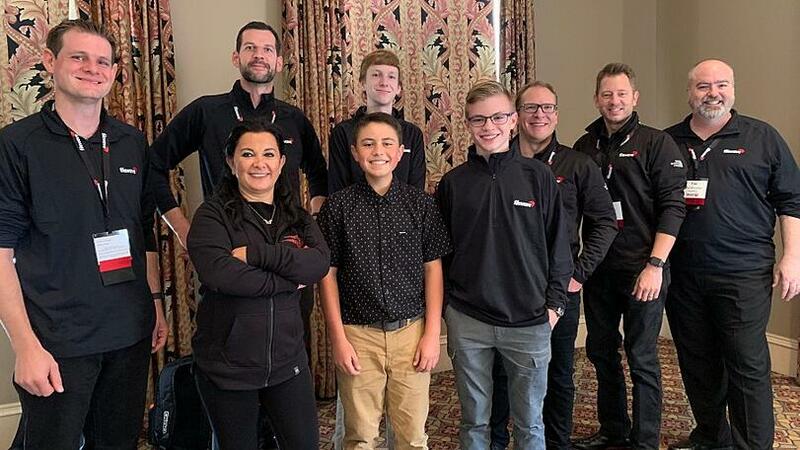 By leveraging the student IT support roles for STEM education initiatives in Indiana, he was able to offer dual credit as an incentive for members of his team. The implementation went beyond updating curricula and tweaking the working definition of required service hours. 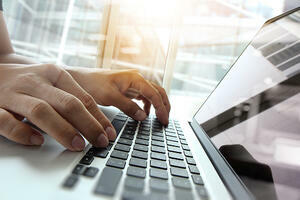 Botteron implemented new password measures, developed a tech team code of ethics, and instituted regular password audits to ensure the system was not abused. As Jeff stated in his presentation, he had to learn to “embrace the redo” and update systems that were not working to help preserve the integrity of the program. 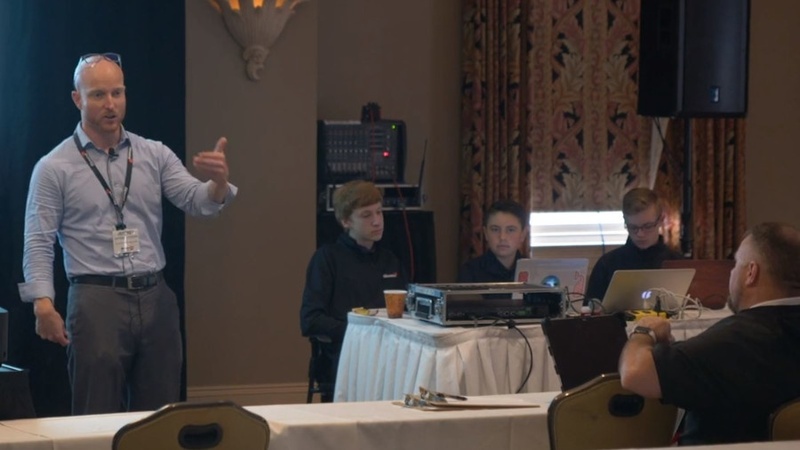 This story is one that we are incredibly excited to share - using FileWave as an educational development tool for students interested in tech training is a transformational process. It is incredibly rewarding to hear how our software is being used as a stepping stone for training the IT professionals of tomorrow. Empowering students to lead your tier 1 tech support can save money and time while improving their hands-on education in ways that will shape them for years to come.